Those of you that have sensitive skin will know what a complete pain it can be. I have insanely awkward skin – awkward in the sense that mostly it’s completely fine, then I’ll have a reaction to something completely out of the blue. It’s pretty frustrating as I never know which products are going to disagree with me. One of my main problems with having both dry and sensitive skin, is exfoliation. Most products seem to be way too harsh for my delicate complexion – even ones that are specifically marketed as non-harsh or irritating. So finding a way to suitably exfoliate my face without upsetting my skin has been a bit of an ongoing mission for me, until I recently discovered these products by Erborian. 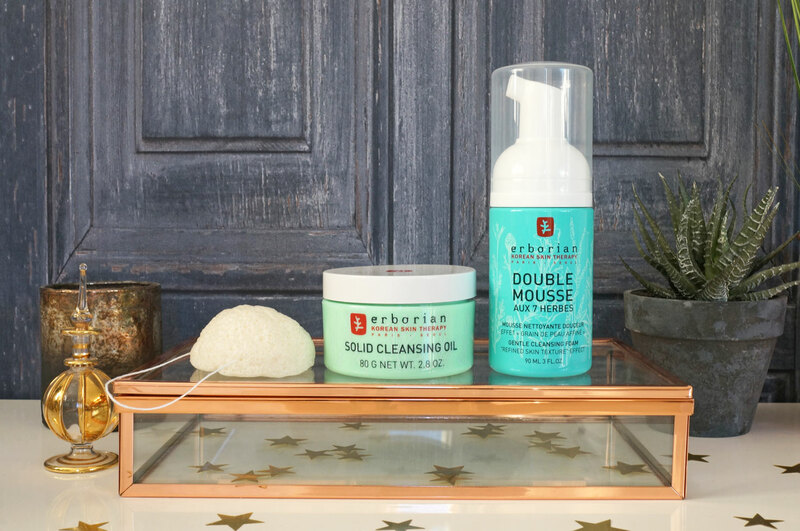 The products I have are from Erborian’s 1-2-3 Detox Ritual: Inspired by the Korean triple cleansing technique to reveal healthy and radiant skin. 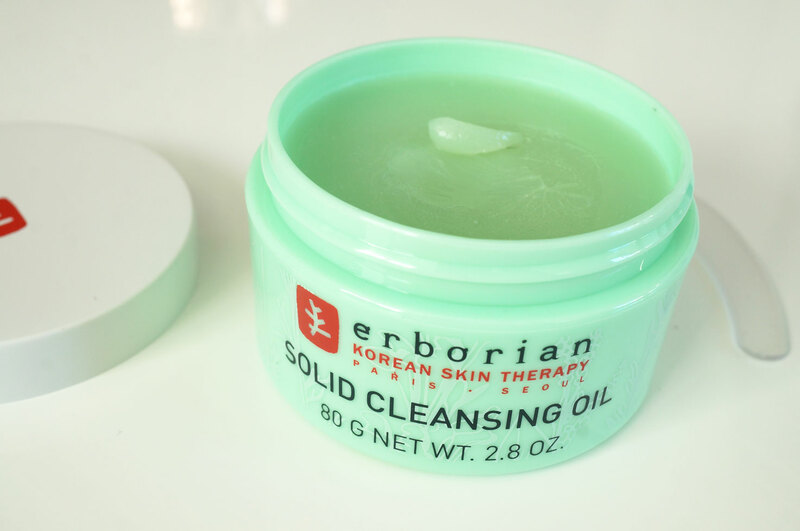 So I’ve started using their Solid Cleansing Oil 2-In-1 Make-Up Remover And Face Cleanser Balm (£29.00) – based on the Korean double cleansing method, the Erborian Solid Cleansing Oil combines the performance of a cleansing oil with the gentleness of a cream. This product has a thick, balmy texture which transforms into an oil upon contact with the warmth of the skin, to help dissolve impurities on the face. 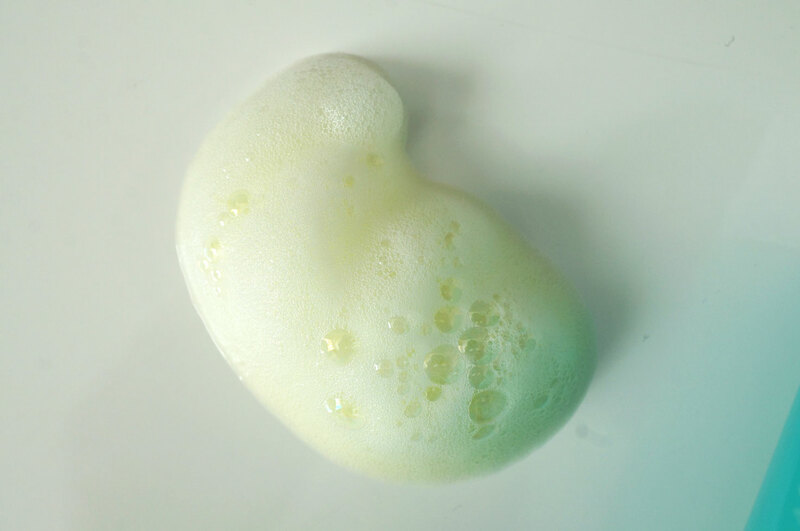 When rinsing, it transforms again into a silky lotion, to cleanse skin perfectly and leave behind a protective film. As well as cleansing my skin and removing makeup, this product leaves my complexion feeling fresh and nourished with no tightness at all. And their Double Mousse Cleansing Foam & Pore Treatment (£22.00) is also fantastic. I was expecting this to feel like a shaving cream foam, but it has more of a light bubbly foam texture, with a lovely light and fresh, almost herby scent. This product gently cleanses the skin to help eliminate impurities, whilst visibly refining skin’s texture for a flawlessly smooth effect. Erborian says ‘Skin is visibly softer, more supple and more luminous.’ and I would definitely agree. The first image above is the sponge as you receive it out of the packet. It’s bumpy and hard, you then dip it in water for 3 minutes and as it soaks the water up, it ‘fills out’ and ends up in a half sphere shape as above. 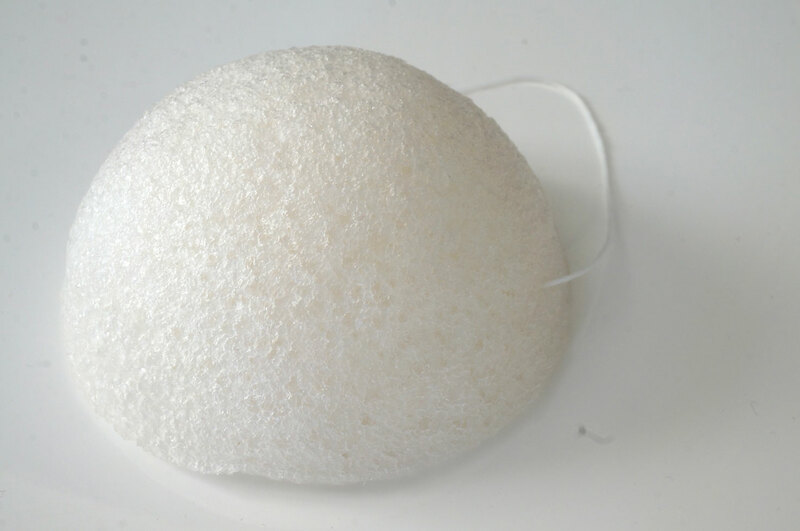 When wet, the texture of the sponge is soft, yet has enough roughness to it to effectively exfoliate the skin without irritation. It also helps to stimulate microcirculation as it massages over the skin. I’ve used this a few times now with the above products and my skin is absolutely loving it. 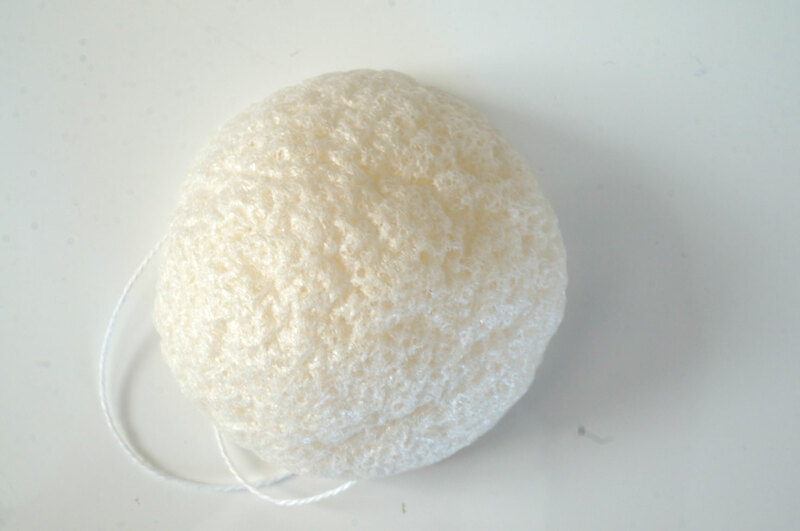 The cleansers do a fantastic job of removing makeup as well as making my skin feel squeaky clean, and the Konjac sponge is working fantastically well as a light exfoliator, I’ve only used these a few times so far and my complexion is looking better already! All the above products are available now from Erborian. It’s good that you’ve found a product that works well for dry & sensitive skin. I’ve always liked looking at Korean skincare, they always seem to be ahead along with the Icelandic & Swiss with skincare.